You know by now my children are obsessed about Despicable Me 2 andtheir we finally get to watch the animated movie in our local cinema. 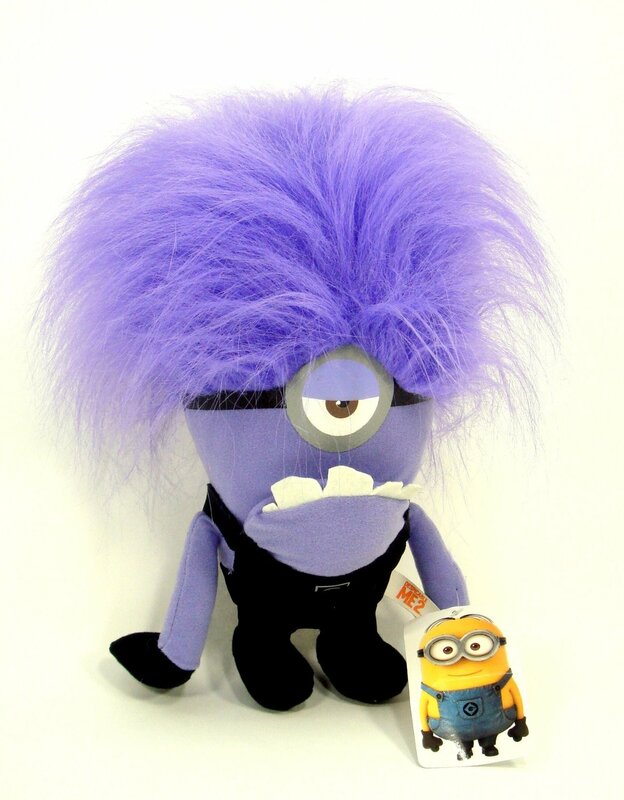 My children laughed and gushed as watch every antic made by the yellow-colored Minions, but a new character also captured their attention: the purple evil minion. We passed by the toy store as we went home and they saw an Evil Minion stuffed animal on display. My kids begged me to have one, even though they already have their own Minion dolls. While it is difficult to refuse their pleas, I do not want to spoil them at the same time. I told them that they need to make their beds for two weeks and I might just give them the Evil Minion stuffed animal they want. They have been doing their tasks pretty well so far. My son would even make an extra effort of folding the comforter just like the beds in the hotel we stayed in Orlando for a vacation. I looked online if there are Evil Minion dolls available and I found several officially licensed Despicable Me 2 merchandise on Amazon. 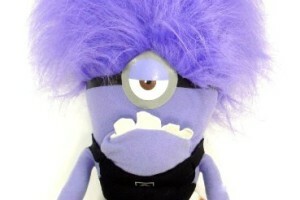 This one-eyed purple Minion stands 10 inches tall, weighs 6.1 ounces, and is made of new plush material. While the doll is newly released, as reflected by its few reviews, the Evil Minion plush dolls are a hit in Amazon as it is the 7th most popular stuffed toy in the retail website as of this posting. The one-eyed Evil Minion stuffed animal costs $24.99. Apart from the one-eyed Evil Minion, there is also the two-eyed version, which also goes by the same price.